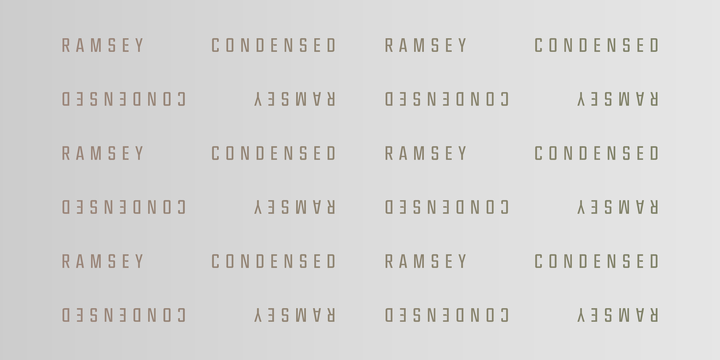 Ramsey Condensed is a condensed version of Ramsey created by Michael Cina and published by Associated Typographics that the author played with proportions and found a balance between Light and the Black. This geometric sans serif font is ideal for headline, logo, display, web etc. A font description published on Saturday, February 14th, 2015 in Associated Typographics, Fonts, Michael Cina by Alexandra that has 3,235 views.